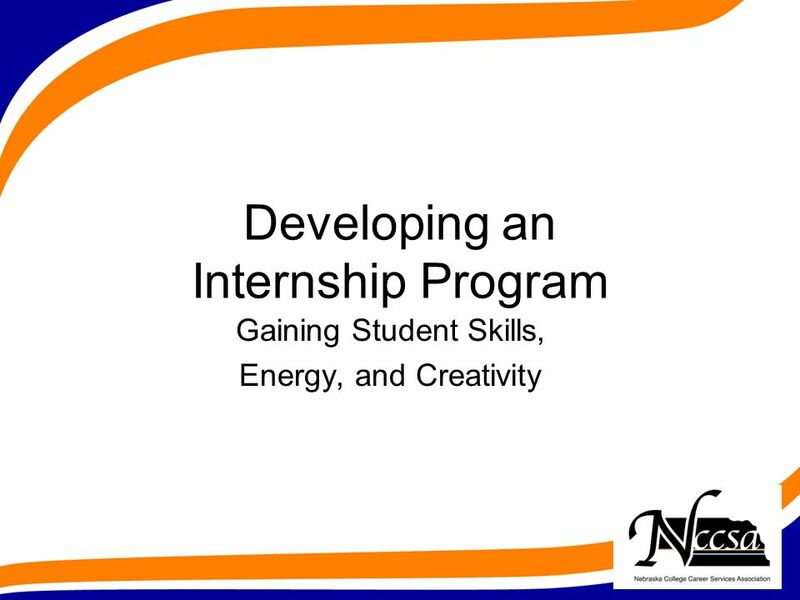 Developing an Internship Program Gaining Student Skills, Energy, and Creativity. 2 What is an internship? A temporary work experience wherein a student performs pre-professional work in support of an organizations goals. 8 Compensation –Although some students will accept unpaid internships, most partially fund their education and are unable to do so. 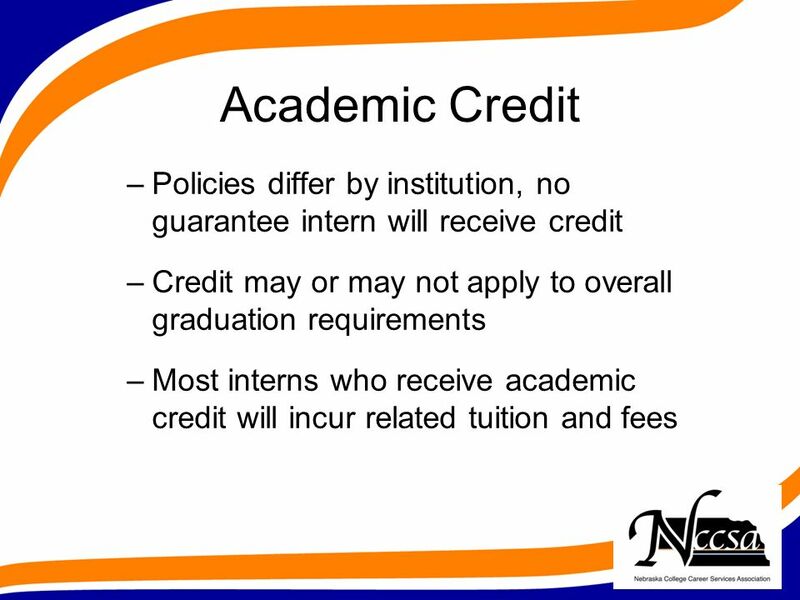 –Typically Nebraska colleges and universities do not provide funding to employers to hire interns. 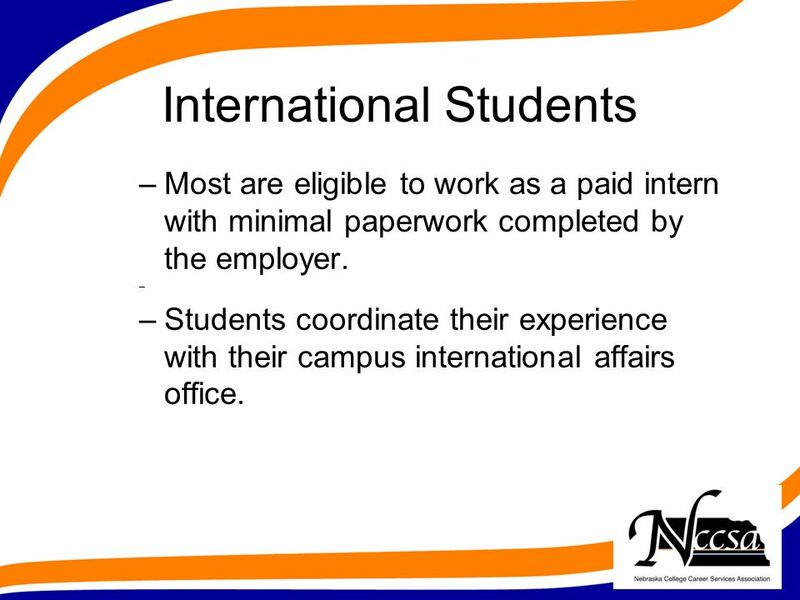 10 International Students –Most are eligible to work as a paid intern with minimal paperwork completed by the employer. – –Students coordinate their experience with their campus international affairs office. 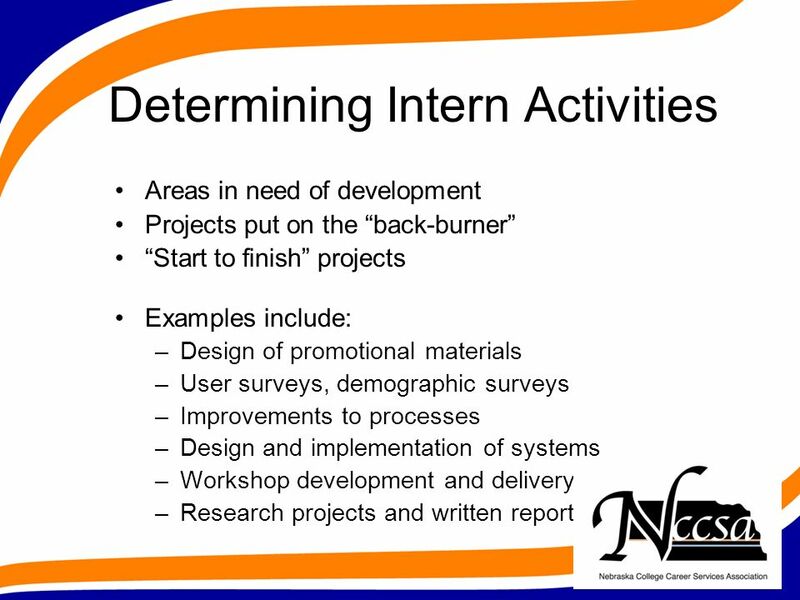 Download ppt "Developing an Internship Program Gaining Student Skills, Energy, and Creativity." 1 Internship Search & Issues Career Services & Student Employment. 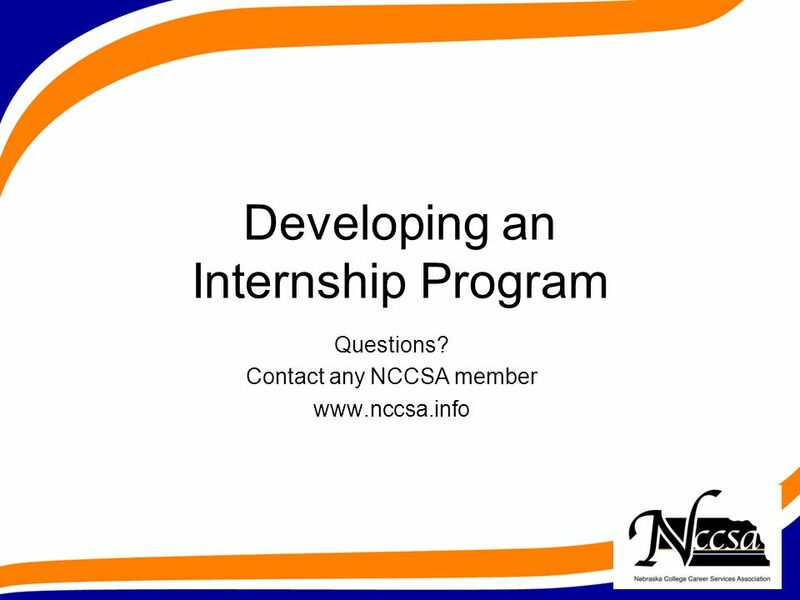 THE SENIOR SEMINAR INTERNSHIP PROGRAM. college and career preparation go together The Senior Seminar internship program helps high school seniors enhance. Learning through Service Community Service-Learning at the University of Guelph Cheryl Rose, CSL Specialist, Student Life Executive Director, Canadian. Career Services Center at Bloss College Emil Cunningham CSC Director. 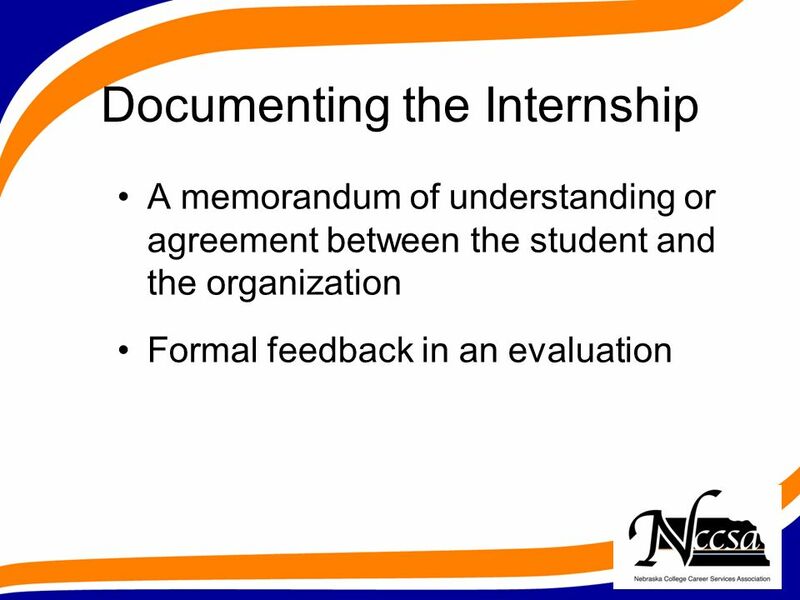 Intern 2 Learn Program Overview. Intern 2 Learn What is Intern 2 Learn ? 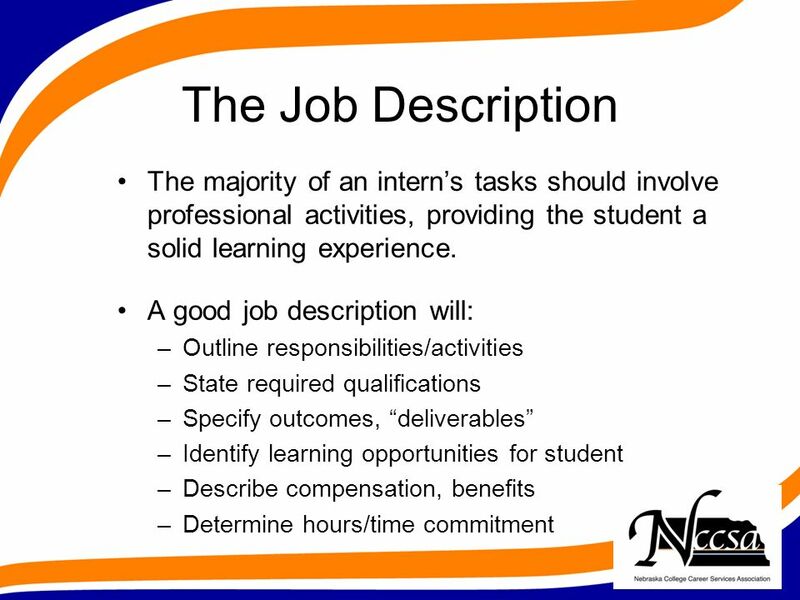 Intern 2 Learn is an undergraduate, student employment program designed to: Provide. Connecting Work and Academics: How Students and Employers Benefit. Barry University Internship Overview. Raising Awareness for Intern Neglect. Presented By: Janeen Tucker EVP, Workforce Development March 25, 2014. 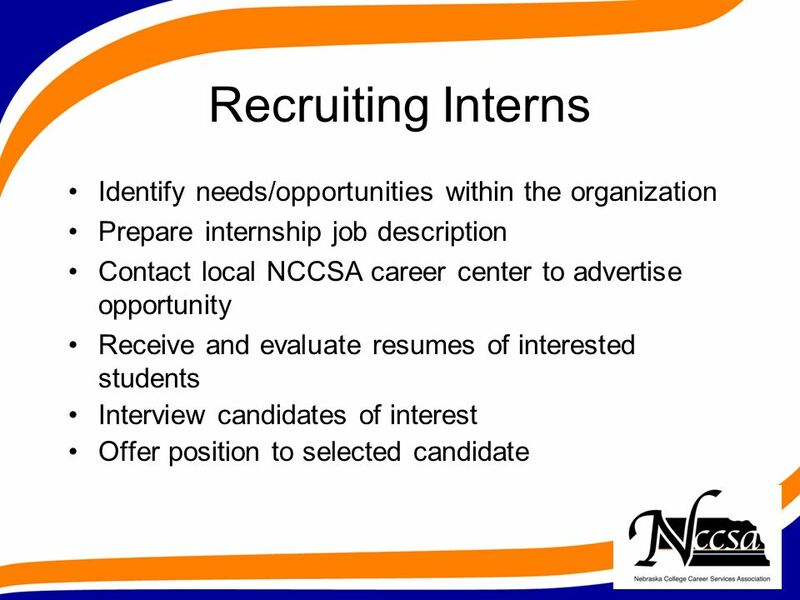 INTERNSHIPS 101 MAKING INTERNSHIPS A PART OF YOUR CAREER PLAN CAREER CENTER – ASPIRE ACT ACHIEVE. Internship Opportunities Presented by Mary Poulton University of Arizona in partnership with the Arizona Rock Products Association. Internship Program Gaining Skills, Energy, and Creativity. PRESENTED BY: BETTY CASALE THE H. JOHN HEINZ III COLLEGE CARNEGIE MELLON UNIVERSITY Implementing a Successful Student Employment Program PASFAA Conference. The Ins and Outs ofInternshipsThe Ins and Outs ofInternshipsThe Ins and Outs ofInternshipsThe Ins and Outs ofInternships. Get your feet wet in the professional world… with internships! Internship Programs A University Perspective By Dr. Lisa Stephenson The George Washington University Elliott School of International Affairs. Why an Internship?. Why complete an internship? Employers increasingly want to see experience in the new college grads they hire Employers increasingly.  Denise M. Lorenz, M.S.   225 Murphy Center  Internship Coordinator + Service Learning Coordinator + Volunteer. How to Hire an Intern Daniel Newell Program Manager Workforce & Economic Development Career. Louisiana Self-Direction Orientation Office for Citizens with Developmental Disabilities.